“Main Street Blues” 70x60, $12500. “Down to Earth” 24x36, Oil, $3500. “Summer at the Buck” 22x28, $2700. “View from Jud Weibe” 30x40, Oil, $5000. “Yellow Umbrella, Colorado Ave” 40x60, $8500. "Hot Dogs on Main Street" 30x40, $5000. 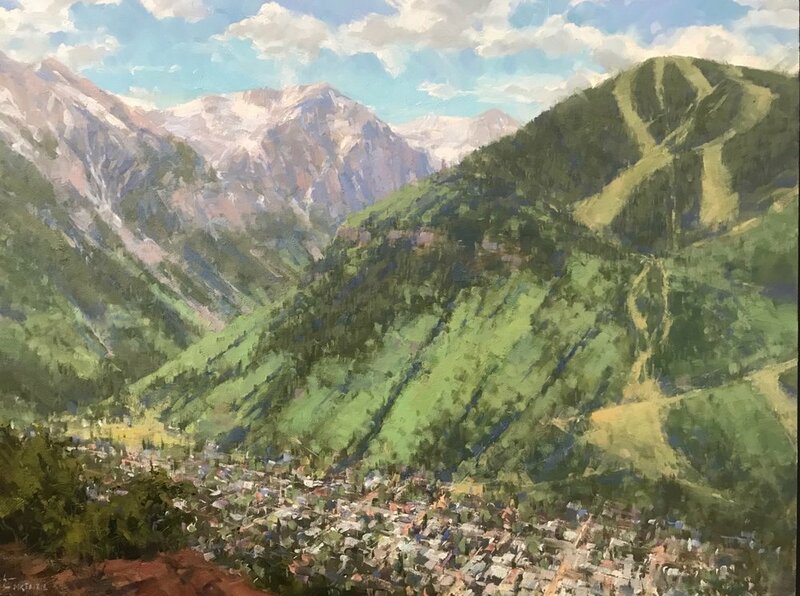 "Baked In Telluride" 22x28, $2700. "Lunch at 11000ft" 24x36, $3500. "Winter Lights on Colorado Ave" 30x40, $5000. 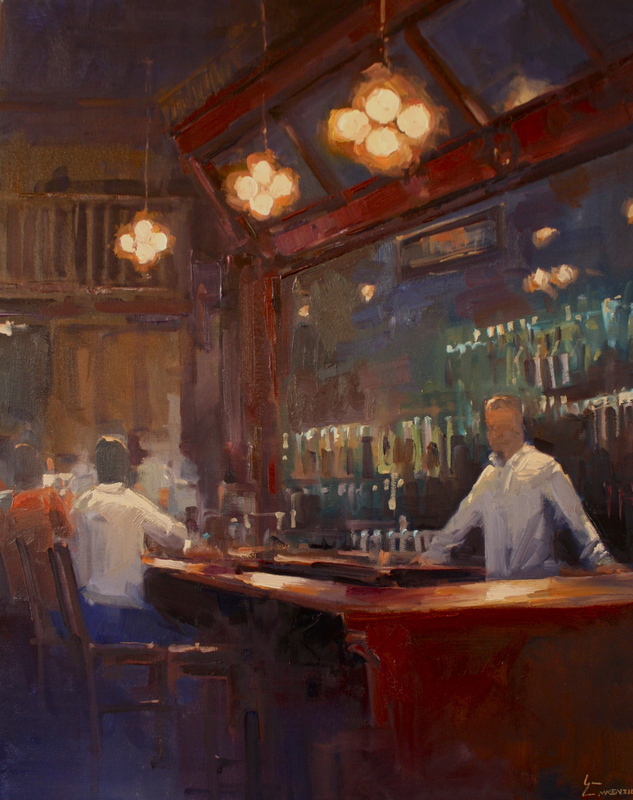 "Friday Night at the New Sheridan" 24x30, $3000. "Colorado Avenue in Winter" 30x40, $5000. 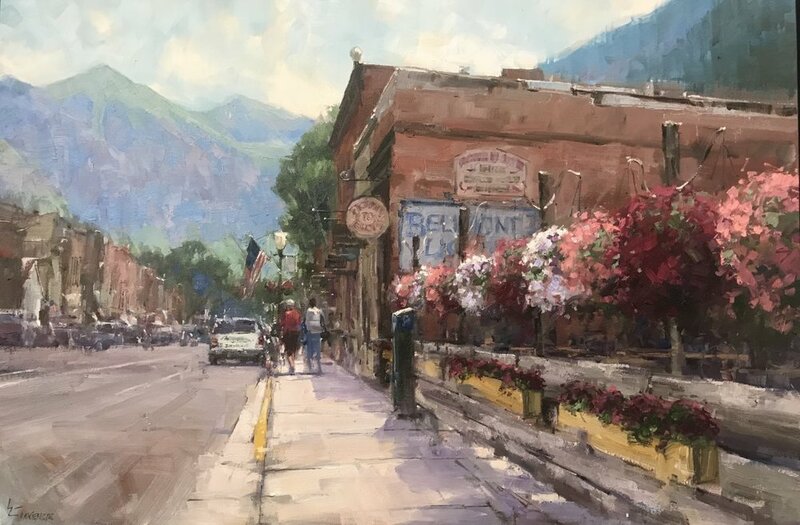 "Down on Main Street"40x60, $8500. "Blue Bikes II" 30x40, $5000. "Blanket of White" 30x40, $5000. "First Snow II" 16x20, $1800. 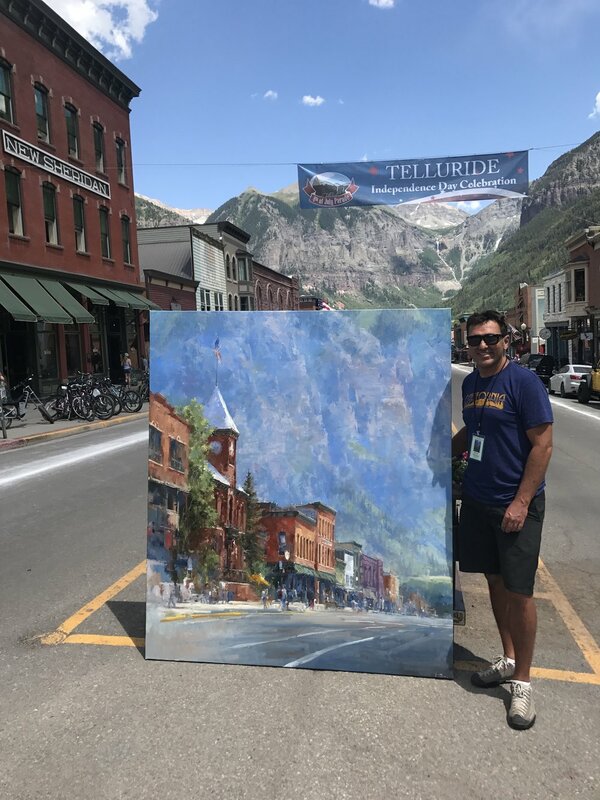 “Main Street Flag” 60x60, $10500. "Hanging on Main Street" 24x30, $3000. "Along the River Trail" 22x28, Oil. "Box Canyon Blues" 30x40, Elinoff Gallery. 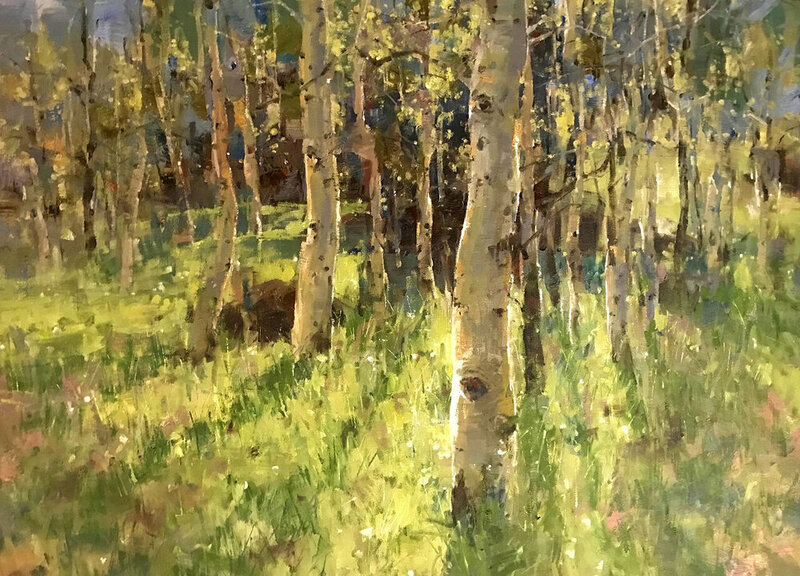 “Backlit Aspens” 36x48, Oil, $6600. "Welcome to the Sheridan" 24x30, $3000. “July 4th II” 24x36, Oil, $3500. “July 4th” 36x48, Oil, $7000. “Bikes at the Buck” 22x28, $2700.